A wise man once said, “anyone can rough it, but it takes a smart person to be comfortable.” While it is secondary to survival, being comfortable in the great outdoors is really the pinnacle purpose of all your camping gear, and there are few things that offer you more comfort and protection as your shelter. However, as an outdoorsman or woman you are faced with many choices for outdoor shelters. Today we are going to talk about the two most useful and comfortable of shelters out there, campers and wall tents, and outline their pros and cons. We’ll also talk about why it is important to invest in more protective and comfortable shelters like these instead of the typical dome tent you might find at the store. The biggest issue with a standard tent you might find at a department store is the fact that they don’t have much floor space. With limited floor space, you will find yourself without enough room for all the people who want to come along and all the stuff you want to bring! Sure, you could bring along another dome tent for more people and gear, but that means you are having to buy two tents for something that could easily be handled by one. After not having enough floor space for all the people or stuff you have coming with you, then there is the issue of height. Anyone who has tried to spend any amount of extended time in a dome tent will tell you that it is uncomfortable. Being hunched over while you are trying to set things up, take them down, change your clothes, or anything else for that matter, is one of the most stressful and uncomfortable parts of camping. In the world of camping, there is one constant, and that is rain. For some reason, even if you are camping in a dry area, you are certain to get rained on at some point or another if you are there for long enough. That being said, even with the aid of a rain fly, there isn’t much you can do to keep yourself dry in a standard department store tent. If you take your tent out camping you will soon discover that there are a lot of things out there ready to snag and tear them apart. Whether it is a thorn bush, a rock, or just the gear you put in it, there will always be something trying to attack your tent. The unfortunate thing is that a lot of these tents you can find on the market are very easily torn, rendering them useless right when you need them. Whether you decide to purchase a camper or a wall tent, you are going to instantly gain a lot more floor space. This means you can bring all those people and all that gear we talked about earlier. See, for example, the sleeping capacity offered by a good canvas tent. Along with the extra floor space, you are going to be able to stand up straight in a camper or wall tent. No more hunching over to change your clothes! As you can probably imagine, a camper is going to be waterproof since it is tightly constructed of much tougher stuff than a tent. However, the wall tent is a close contender. If you purchase a canvas wall tent, you are almost guaranteed to have a nice dry camping trip, no matter the weather. While cotton canvas requires special treatments, our unique canvas material does not require any additional treatments. 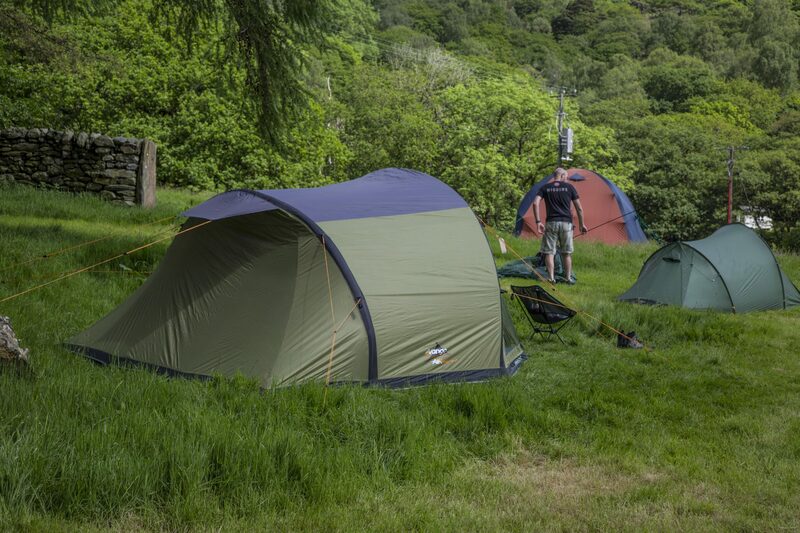 As you might have guessed, both campers and wall tents are very sturdy, and don’t tear that easily. 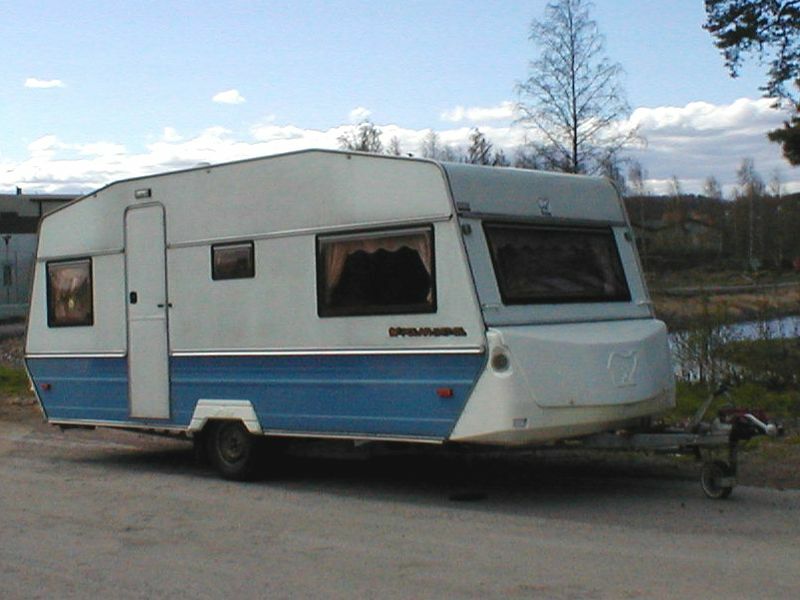 For a camper, that is due to the thorough construction we mentioned earlier. For wall tents, any canvas material is naturally quite durable. And our unique canvas material is even stronger than traditional canvas (see our FAQ section). The frames used in wall tents are also significantly sturdier than the poles of most tents. One of the greatest pulls for people who buy quality wall tents is their longevity. With a tent that will last you a life time, you won’t have to worry about dropping any more money on shelter. Since you will have tall walls that surround your area, a wall tent will easily protect you from the elements, like we talked about earlier, and it will give you greater privacy as well. One of the greatest things about a wall tent is that, even though they cost a bit more than a good quality dome tent, they are much more affordable than a camper. Since wall tents can be taken down and folded up to a pretty small size, they are easy to take with you no matter where your next adventure is. Another great benefit to the wall tent is that most are outfitted for a wood burning stove. You can keep yourself warm at night and even cook a little without having to leave your tent at all. For more info, check out our article on tent stoves. And if you’re wondering, we also have a recommended stove. 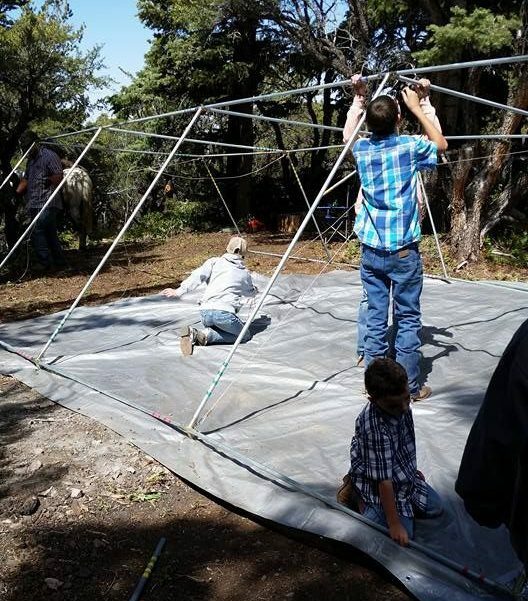 Since a wall tent has a frame and support tethers that have to be set up, it can take a bit of time to set it up before you can use it. 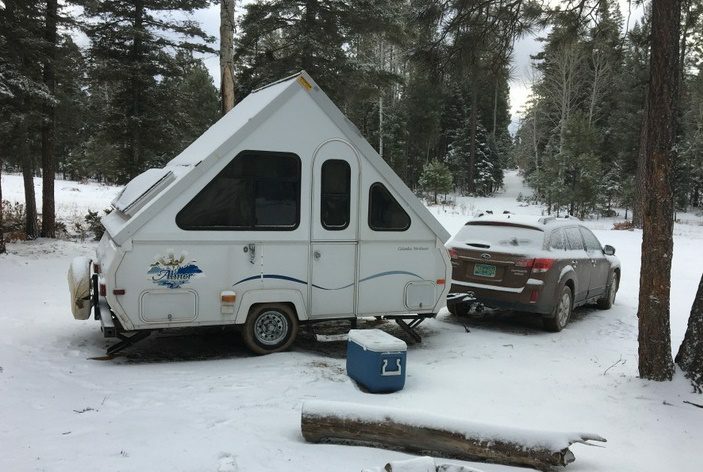 Although canvas tents by Elk Mountain Tents can be set up by one person because they do not have a sewn-in floor, most prefer to have a buddy. Check out our page on how to set up a wall tent for more details. While a wall tent is pretty useful, it has everything but the kitchen sink… and a toilet or shower. So, you will have to figure out other arrangements for water while you are using a wall tent. Of course, there are several creative ways to handle this, but it is one more thing to consider. 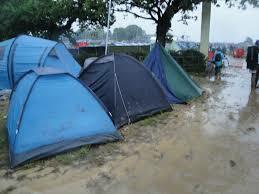 Campers can also last quite a long time when compared to department store tents. This is thanks to their sturdy construction. 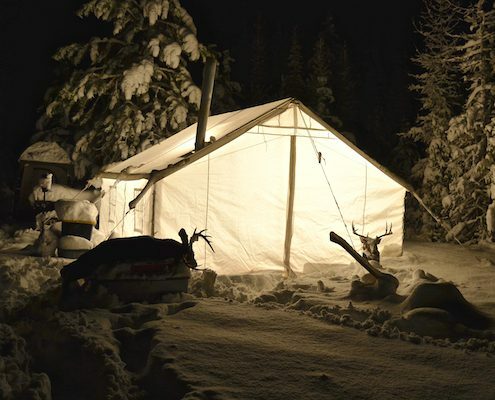 Just like with the wall tent, the camper can offer you the greatest protection from a storm aside from an actual house. Not to mention you will have added sound privacy that comes from large thick walls. The biggest benefit of a camper for a lot of people is that they have everything they might need, including the kitchen sink. With the water hook ups that come with a camper, you can have running water which means a sink, a shower, and an indoor toilet. The deal breaker for a lot of people when it comes to buying a camper is the price. Some campers can come with $10,000+ price tags making them pretty unattainable for a lot of people. Let’s also not forget yearly registration fees and insurance. Campers can be a beast. Plan ahead or you may end up with a big ugly camper taking up your entire driveway. Another problem with campers is that there is a lot of prep you have to worry about. You have to make sure the water tanks are full and working, there are no holes, everything is strapped down, and on and on. Not to mention everything has to be as level as possible or else the water and other systems won’t work. 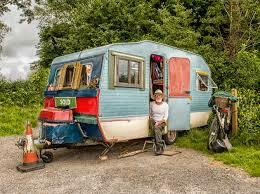 Having wheels makes campers seem extremely mobile, but they can’t get into as many places as a tent. You will find this is especially true if you like to hunt the back country. Towing the camper is another big issue for some people. They are big and heavy which means you will usually need a truck with a tow package, or maybe one that’s bigger than what you’ve got, adding to the price tag. Plus there’s the gas… And if you’re pulling a camper, how are you also going to pull your four wheelers? 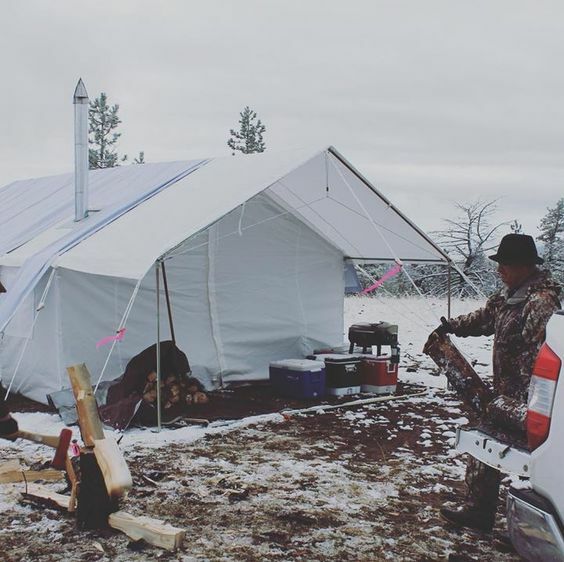 We here at Elk Mountain Tents believe that everyone should have access to good quality outdoor shelters. That’s why we offer our affordable canvas tents. 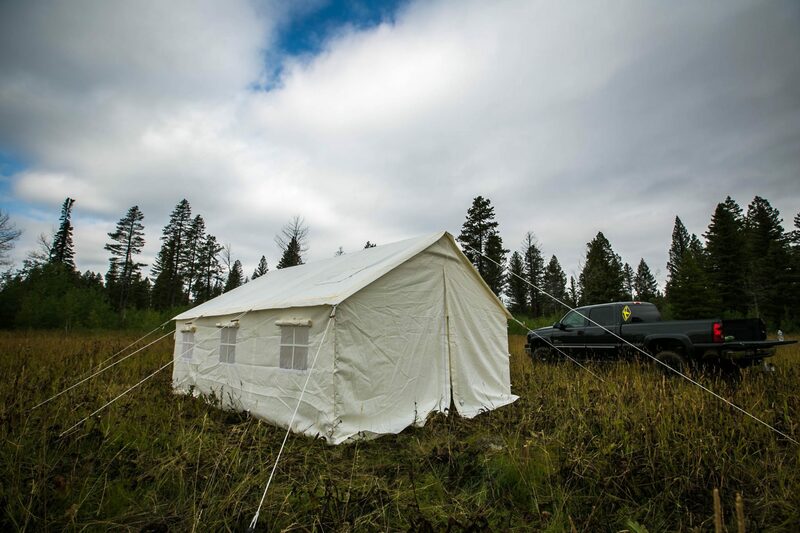 Find out if a wall tent will fit your outdoor needs!